A plane chartered by CoreCivic, the main prisons operator in the United States mainland, will arrive in Puerto Rico in the coming weeks to transport a group of inmates who will be taken to the airport escorted by the Department of Corrections and Rehabilitation (DCR) staff, after the agency awarded the company a $10 million-plus contract on July 31. Before boarding, the inmates will go through a “process of security and medical check-up.” Then they will travel to their new destination: La Palma Correctional Center in Arizona. CoreCivic will make several trips through its own airline, TransCor, until the DCR has achieved its goal of moving the first 1,200 inmates from Puerto Rico prisons to relocate them to that private jail in Arizona. The details of the transportation are included in CoreCivic’s proposal to the DCR. The Corrections Secretary told the CPI that the process of informing inmates about the services they will have in the Arizona jail will begin this Monday, August 6. But the orientations had not begun Monday, Hector Perez, public relations officer for Corrections, confirmed to the CPI. If the DCR’s plans materialize as planned by the Secretary, who expects the first flight to leave on August 15, the inmates will have less than a week between the orientation and transfer dates. 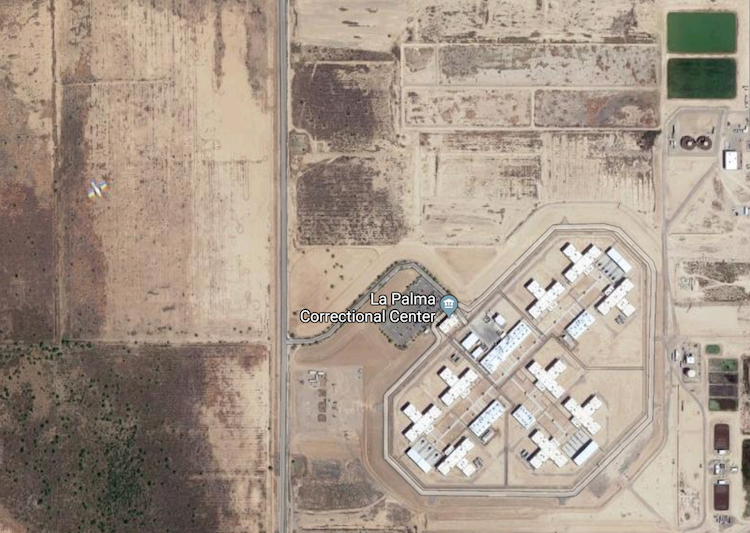 La Palma Correctional Center in Arizona is the prison CoreCivic proposed to transfer inmates from the island who participate in the first phase of the Out of State program that Gov. 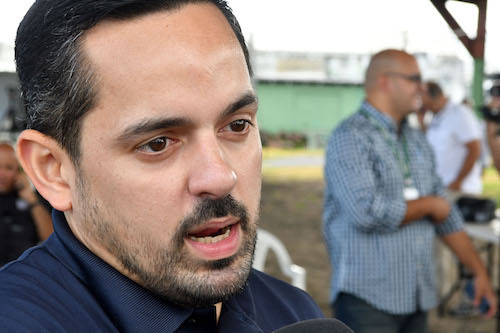 Ricardo Rosselló’s administration is driving as an alleged saving measure. The goal is to relocate a total of 3,200 inmates in prisons in the United States over the next five years in a staggered manner, which is 30 percent of the total Corrections inmate base. On Monday, July 30, the DCR’s Procurement Board held a meeting with officials of the Fiscal Agency and Financial Advisory Authority, or AAFAF, in which they awarded the contract to CoreCivic, the only company that was competing for it. In the proposal submitted by CoreCivic to the DCR in May, the per diem rate would be $63 and $67 per day for each inmate. The AAFAF asked the DCR to negotiate to lower the rate to between $55 and $59. “However, [in the awarded contract] the same per diem remained more or less,” the Secretary of Corrections told the CPI. “In addition to that, this is a contract that probably exceeds $10 million, which means that it has to be evaluated and approved by the Fiscal Control Board. So there are still a few additional steps,” added Rolón. The CPI asked the Fiscal Control Board and AAFAF if the contract will be approved even though Corrections did not lower the rate for inmates proposed by CoreCivic. The Board sent written statements indicating that “it has not received documentation on this contract to be evaluated,” but it did not answer the CPI’s question. Neither did AAFAF. “The negotiation process in DCR’s case has not been completed, so we cannot comment on it. The AAFAF, in its role as financial advisor, has been supporting the DCR in this process,” said Christian Sobrino, director of AAFAF, in a written statement. Earlier this year, the DCR announced the plan to move 30% of its population to private prisons in the United States in five years, and since then, several organizations that defend inmate rights expressed their concerns over, and opposed, the decision. In April, more than 50 lawyers and lawyers, academics and members of international organizations signed a statement opposing the transfer of inmates to the United States. “Our main concern is that it has not yet been a totally transparent process regarding which inmates are ultimately going to be transferred. And, what has been the volunteer process that has been demanded of those inmates? Because for example, if the first flight leaves August 15, do those 1,200 inmates have pending processes in the courts? Do they have legal representation that merits notification? Have they been really informed of where they are going, what services will be offered to them, what opportunities will they have?,” said Yahaira Colón, director of the Legal Aid Society’s of Special Affairs and Post-Sentence Remedies Division, in an interview with the CPI. The prison and the date of flight for Department of Corrections inmates are already identified, but the regulations that will govern the transfer have not. The Regulations orders that any transfer be considered by a committee composed of three DCR employees who will make a recommendation to the Secretary. The inmate must be notified of the Committee’s decision within 10 days of the determination. Once the inmate is notified of the Committee’s recommendation, the Secretary has 30 days to make a final decision. On July 9, the CPI requested access to one of the inmate orientations on the Out of State program. Last week, Erik Rolón told the CPI that he saw no problems and that he would be informing the orientation date during that same week. But his notification was never received. “What has happened in the past is that they are transferred to the United States and when they say ‘look, the conditions here are not what you offered us, we want to go back to Puerto Rico,’ nothing is done, because they don’t do what the Regulations says. Imagine how much more is going to happen if that regulation is created after they are moved, and so they don’t have any information about that,” said Thalia Méndez, correctional affairs advisor of the Legal Aid Society. Yahaira Colón also questioned the daily cost per inmate, which according to the DCR is $200. The Fiscal Plan that the government presented on April 5, establishes that the daily cost per inmate is $95. 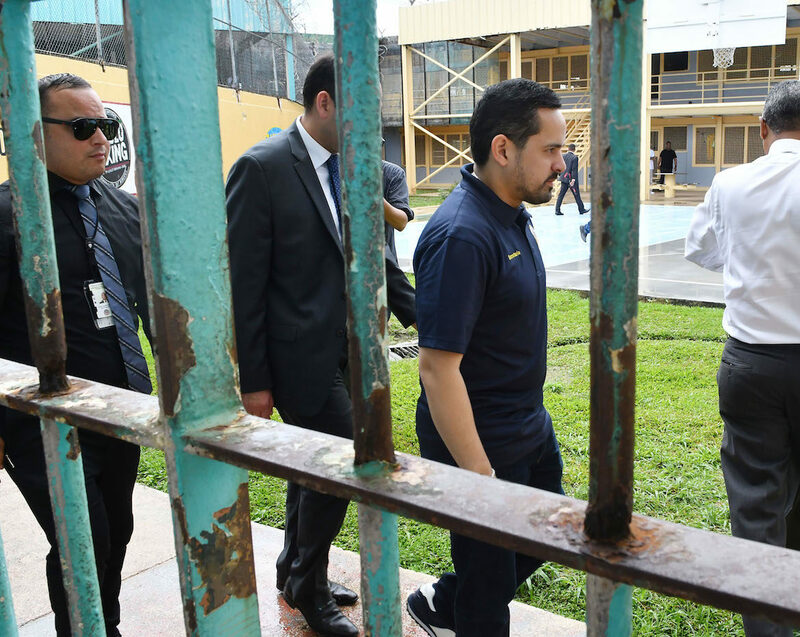 The Out of State inmate transfer proposal was not included in the Fiscal Plan certified by the Fiscal Control Board imposed by the U.S. Congress to control the government of Puerto Rico’s finances. Among the Fiscal Plan’s recommendations for the DCR is closing nine prisons, due to the inmate population reduction in the last 10 years. New Progressive Party Senator Henry Neumann filed a resolution in May asking the Senate’s Public Safety Commission to investigate the plan to transfer inmates to other jurisdictions in the United States and other matters of the Department of Corrections and Rehabilitation. Larry Seilhamer, NPP chairman of the Internal Affairs Commission, approved the resolution. Popular Democratic Party Senator Miguel Pereira, a former Secretary of Corrections, has also questioned the transfer plan. La Palma Correctional Center in Arizona, where the first 1,200 inmates from Puerto Rico would be transferred to under the Out of State program, has “critical problems” in its health services. Deficiencies in inmate medical care are detailed in several audits conducted between 2015 and 2018 by the State of California’s Department of Corrections and Rehabilitation, which moved part of its prison population to that Arizona prison. However, the audit emphasizes that persisting problems are critical. Among the deficiencies unresolved since 2015, are that patients don’t receive medications for chronic diseases within the required time frame, and that the facility’s staff is inconsistent in documenting colorectal cancer screening tests offered to patients between the ages of 50 and 75. In general, the jail does not have the total health care staff it needs, the audit says. California state auditors found that since 2017, the nursing staff at La Palma Correctional Center does not refer patients to their primary care physician when they do not show up for an appointment, or refuse a medication or therapy for three consecutive days. And the primary health doctors do not document the need to place the patient in an observation room within the required hours. Among the most recent findings is that consistently the facility’s staff does not complete the patient’s diagnostic tests and the primary physicians do not systematically attend the inmates within the period of time required when referred by nurses. In addition, the correctional facility did not have the drug Naloxone (used in opioid detoxification treatments) at the beginning and end of each shift, the audit says. The inmates of La Palma in Arizona also do not receive timely written notification of diagnostic test results or follow-ups after a specialized appointment. Vaccinations offered against influenza or the refusal of a patient to receive it is not documented. Meanwhile, not all primary care providers regularly access the patients’ Electronic Health Record System. “The health care policies and the facility’s operating procedures do not comply with the State of California’s Inmate Medical Services Policies and Procedures,” the report states. In a previous audit, conducted Sept. 27-28, 2017, it was found that the jail did not administer tuberculosis medications to patients as prescribed and primary care personnel could not document that the patient was educated about their medications. In addition, the facility’s health care staff did not administer the initial dose of medication prescribed to the patient as ordered by the provider and the nurse did not directly observe patients taking medications that required administration. This Arizona prison opened in 2008 and was specifically designed to house inmates in California because that state had problems of prison overcrowding. But now the inmates will be gradually returning to California because their prison population is decreasing. “Of the 3,000 California inmates who were originally in the Arizona jail, 2,500 remain. The goal is to have them all back by June 2019 if our penal population [the one in California] continues to decline,” Bartley said. On June 24, CoreCivic announced that it will modify an agreement with the United States Immigration and Customs Enforcement Service (ICE) to allow the Arizona jail to be used by the U.S. Marshals Service. Under that agreement, ICE could house more than 1,000 detainees at the La Palma Correctional Center in Arizona and house more criminal population according to space availability. CoreCivic, the company that manages some of the prisons where immigrants who illegally cross the border between Mexico and the United States are detained, specified in its statement that it will not house families nor unaccompanied minors in the Arizona prison. In the fourth quarter of 2017, CoreCivic reported total revenue of $440.6 million. During former Gov. Luis Fortuño’s administration, when the current Secretary of Corrections was director of the DCR’s Office of Legal Affairs, a transfer program was carried out, also with CoreCivic, which cost $10,410,847 and has not been evidenced to have entailed savings to the government’s coffers. The inmates had to return to Puerto Rico after rioting at the Cimarron Correctional Facility in Oklahoma because they did not receive the services they were promised. “What happened in the past was that when the inmates no longer had any information, when they tried to do everything possible to be returned to Puerto Rico because the conditions were worse than what they suffered in Puerto Rico, when they didn’t get a response, they rioted and caused problems so the institution they were in was forced to return them. That happened in Oklahoma. These things have also happened at other times, even when individual inmates have been transferred,” said Thalia Méndez, a lawyer with the Legal Aid Society.